Being homebrewers for years Vliegende Paard Brewers decided to participate in a national homebrew competition named “Brouwland Biercompetitie” in April 2011. They participated with their strongest beer Préaris Quadrupel (10%ABV), their version of a trappist beer. Judges were brewmasters from Brewery Dubuisson and Orval. They were crowned best craft beer (home brewed) Belgium 2011. Soon after they decided to sell their beers to beer lovers all over the world. Since they only have small 80 litre kettles they currently brew their beers in Proefbrouwerij, one of the most professional breweries in Belgium. 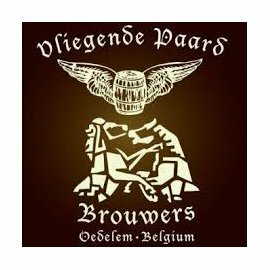 Commercially started in September 2011, the internationally renowned beer website ratebeer.com rated them in 2013 best new brewer Belgium.